5 days only! Packed with knowledge for success. With the world economy in a tight spot, your kind gift today makes available 3,500 books to motivated students in Uganda. Shipping cost: $3,700.00 (Shippers: AMID Logistics, LLC). The books are stored at North Park Self-Storage, San Diego, California. Our USA contact: Charles at phone 619-886-7032 San Diego. Thanking you for the kind heart; Sincerely, KMI students and community. Kisulo Mukasa Institute welcomes you. Thank you for visiting us at this time. UPDATE Sept. 2018: UNRA promised in Feb. 2018 to pay the balance on our claim. On Aug. 10 they offered Shs.38m/- as total settlement. Then on Aug. 13 they said the settlement is Shs.11,255,500/-. Our board did not accept the Aug. 13 offer because it is 11% lower than our claim in multiple letters to UNRA's executive director. We have written to the executive director again accordingly and also discussed with UNRA's EEW representative that our claim stands. Our students learn to use computer to a professional standard — not just an introduction to the computer — which improves their opportunities at employment or self-employment. 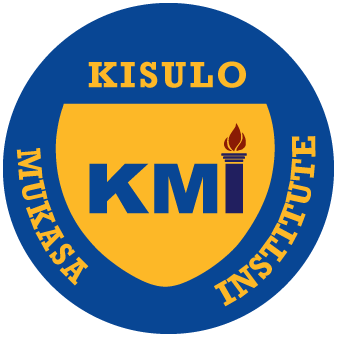 Kisulo Mukasa Institute is a not-for-profit post-secondary institute. KMI is registered at the Uganda Ministry of Education. The Institute has also a certificate by Uganda Investment Authority recognizing us as a Ugandan-American human development investment. The registration and certification date as far back as 1999. Kisulo Mukasa Institute has only one top goal: Teach the most-up-to-date education that will benefit our student and community. That is our commitment to educational excellence. Holidays: Closed on Easter, Christmas Eve, Christmas Day, Day after Christmas, New Year's Eve, New Year's Day, Uganda Martyrs, Independence, Iddi, and some days scheduled as Institute student vacation.